Summer ski resort: Strip down and hit the Grand Motte Glacier, Tignes. Summer skiing means heading to the highest peaks of North America and Europe or flying to the Southern Hemisphere—New Zealand, Australia, Chile or Argentina—where the winter season is in full swing from June to October. So stop wondering where to summer ski and check out our picks of the coolest ski resorts for skiing in summer around the world. The Kitzsteinhorn Glacier above Kaprun has a large, year-round ski area boasting varied runs and a terrain park. Intermediate skiers and riders will feel particularly at home here. After a few runs, chill out at the Ice Camp with its igloos, ice bar, food court and sun deck with lounge chairs—the perfect spot to relax and listen to music. Non-skiers can take free guided panoramic hikes across the glacier. The Dachstein Glacier above Ramsau am Dachstein features flat, north-facing slopes for predictable powder conditions. 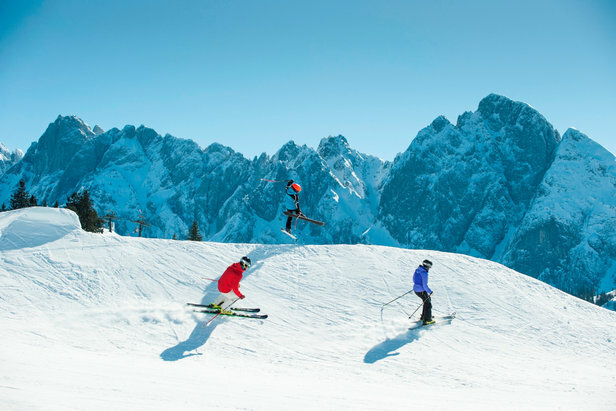 The Dachstein is the international training center for cross-country skiers, bi-athletes and Nordic combination athletes. The summer gondola runs from 7:50 a.m. to 5:30 p.m., and non-skiers have the Dachstein Skywalk, Dachstein Ice Palace, and for the most daring, the suspension bridge and stairway to nowhere. Food and drinks are served at the Glacier Restaurant directly in the mountain station of the Dachstein Gletscherbahn. The Hintertux is one of the few remaining glaciers that's open for skiing 365 days a year. For summer skiing, up to 20 km of slopes (12 miles) of runs are open and accessed by 10 lifts, including the Glacier Bus 3, capable of transporting 3,000 skiers per hour. 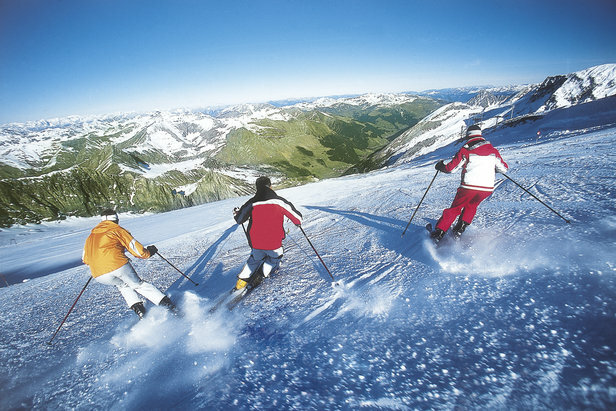 The Hintertux offers a good range of runs for all levels, but is famous for its steep, challenging terrain. Freestyle fans have their choice from five lines—Pro Line, Medium Line, Easy Line, 2 Jib Lines—at Betterpark Hintertux. The Tuxer Sportbus is a free bus service, which operates year-round transporting guests from Vorderlanersbach, Lanersbach, Juns or Madseit to the bottom of the glacier. Carving up the slopes on the Hintertux Glacier. 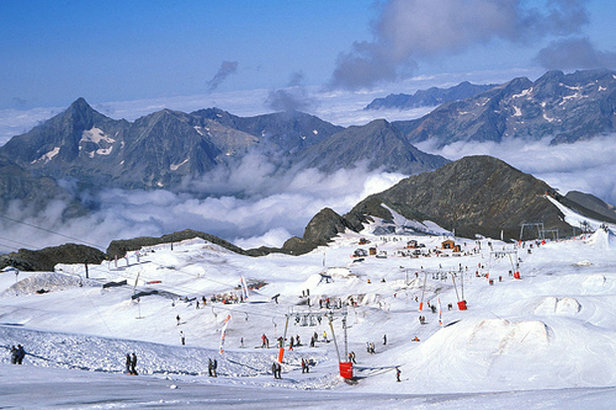 Les 2 Alpes has one of the largest summer ski areas in Europe. The Mont-de-Lans Glacier is open from mid-June to late August. A funicular railway transports skiers up to the glacier’s 11 runs (one green, nine blue, one red), which are served by chairlifts and drags. Les 2 Alpes’ snowpark rivals that of Saas-Fee's glacier, with its slopestyle and big air, cool zone, half-pipe, Easy Park suitable for beginners. 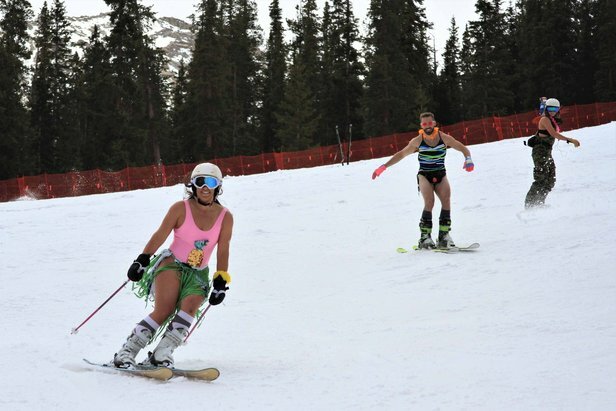 Ski camps run throughout the summer. Summer ski resort: Mont-de-Lans Glacier, Les 2 Alpes. The Grande Motte Glacier has varied terrain—blue, red and black runs—accessed by chairlifts and drags. The summer ski area is open from mid-June to August. It takes just 7 minutes to get up to the base of the glacier on the underground funicular from Tignes. The North Face run is very popular and not too steep. Tignes’ summer ski school runs five-day workshops and hour-long lessons each day. The glacier closes at 1 p.m., which is a perfect time to take your skis down to the water ramps on the lake. Open year-round, Zermatt has a whopping 21 km (13 miles) of summer skiing on its Theodul Glacier, accessed by the Klein Matterhorn cable car. 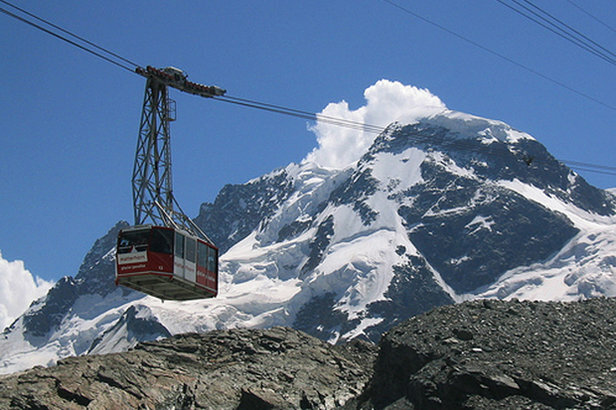 The summer ski area is shared with Cervinia in Italy, so you can ski over the border for lunch. The open runs are divided between blues and reds, and the Gravity Park offers one of the best views of that mountain—the Matterhorn. 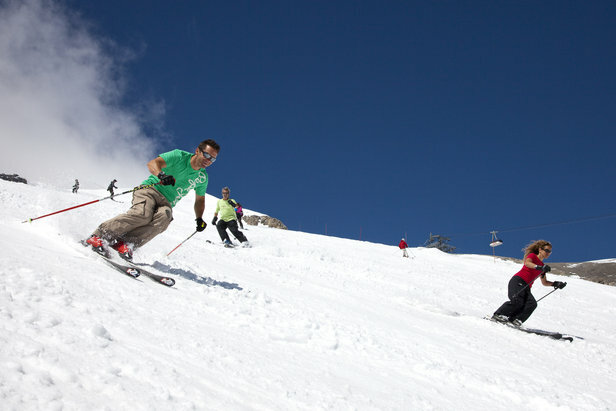 Zermatt visitors can enjoy summer skiing until noon, and it's recommended that summer skiers hit the mountain early for the best turns possible. Klein Matterhorn cable car transports skiers up to the Theodul Glacier, Zermatt. The Allalin Glacier is accessed via the underground gondola and is open from mid-July to late October. The lifts run to 12-3 p.m. depending on the time of year, but it takes an hour to reach the glacier, so get up early to avoid the slush. The 20-kilometer ski area, just edged in size by Zermatt’s glacier, is well suited to intermediates and is particularly popular with freestylers and race teams. The snowpark has a half-pipe, kickers, rails, boxes and transitions in all shapes and sizes to suit all skill levels. Take a break at the Chill Out Zone with music and couches located below the pipe. The glacier also has a restaurant and sun terrace serving lunch and beers. Hit the half-pipe in Saas-Fee's snowpark, Switzerland. Get in an early-morning mountain bike ride then head up to the Horstman Glacier, open from 11 a.m. to 3 p.m. between mid-June and late July each year for summer skiing. It is a scenic 45-minute ride up to the glacier via three chairlifts, with views of the entire Whistler Valley from the top. 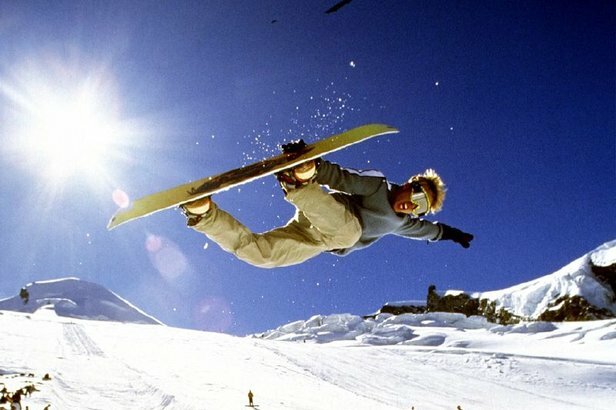 The glacier, served by T-bars, requires advanced to expert skiing ability level. Lunch is served at the European-inspired Horstman Hut, perched at the summit of Blackcomb Mountain. Looking like an endless winter at Whistler / Blackcomb. 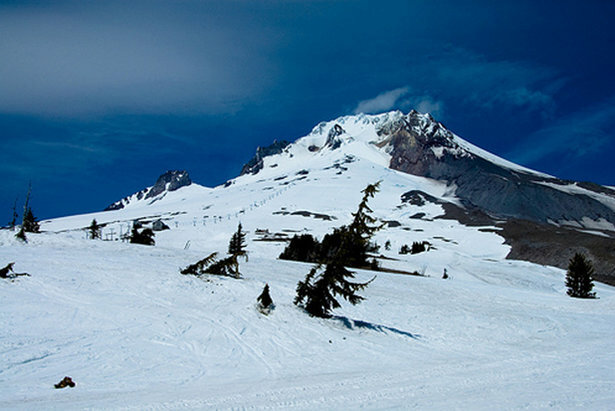 Located about an hour and a half drive from Portland, Timberline Lodge runs the longest ski season in North America—the Palmer Express high-speed quad lift allows the mountain to operate typically June 1st through Labor Day and many years for weekends into the fall as well. The resort grooms several lanes across Palmer Snowfield located on the south face of Mt. Hood. During the warmer months, Timberline Lodge is primarily used for summer ski racing camps and freestyle camps, but the above-treeline terrain always includes one lane for public use. Freestyle terrain parks are a major draw for Timberline Lodge skiers and riders in the summer months, starting in the Mile Canyon and then moving up to Palmer snowfield in the later summer, recommended for advanced skill level skiers and riders only. 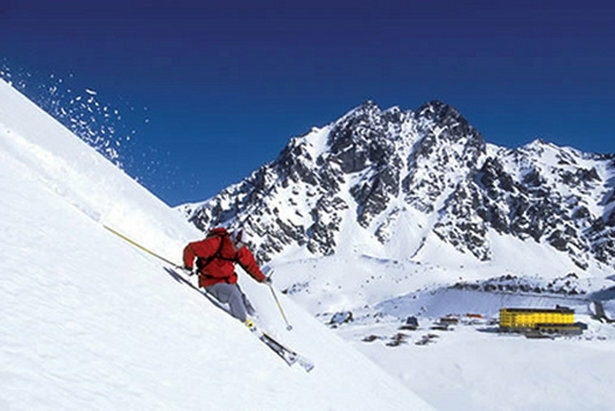 Las Leñas is one of the highest ski resort in Argentina and boasts reliable snow. The mountain's 17,500 hectares (43,000 acres) of pistes (30 runs) are suited to skiers and riders of all levels. 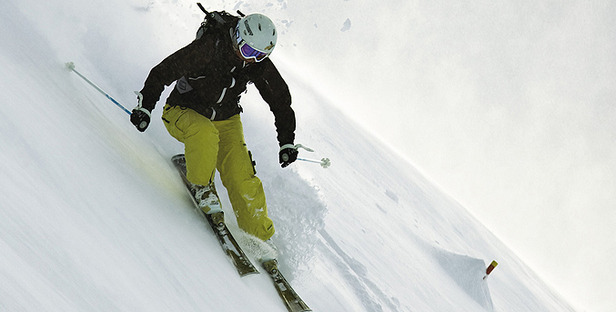 Advanced and expert skiers come for the deep off-piste powder. Some of the best powder can be found on the steep bowl and long couloirs accessed from the Marte chairlift. 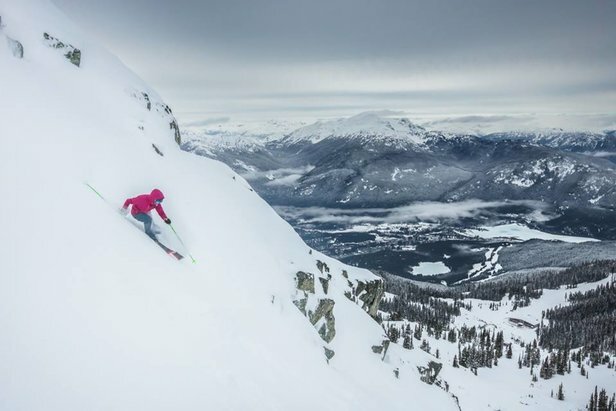 Various ski instruction programs can help you brush up on your skills while the more advanced embark on an adventure into untouched powder with a guide via the Out of Track and Extreme Expedition programs. Three on-mountain restaurants serve refreshments and an array of dishes, French cuisine to stews, salads and various sandwiches. Summer ski resort: Lifts and slopes of Las Lenas, Argentina. 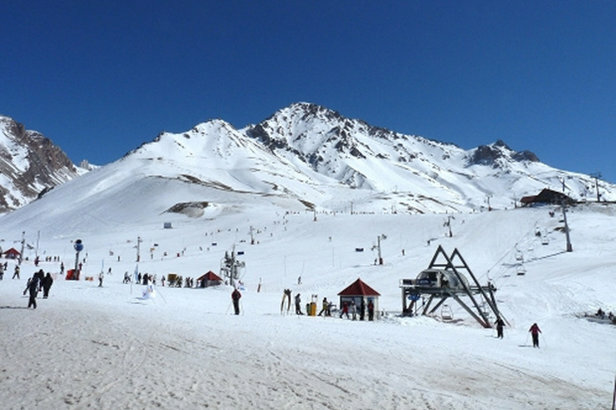 Cerro Catedral is one of the biggest ski areas in South America. Its 120 km (75 miles) of runs offer beautiful views of the Nahuel Huapi Lake. The 34 lifts include a modern bubble and six-seater chairlift. The slopes are sprinkled with numerous mountain huts for snacks and refreshments. The mountain offers a multitude of non-skiing activities, including various tours, a snowcat ride, tubing, sledding, snowshoeing and snowmobiling. 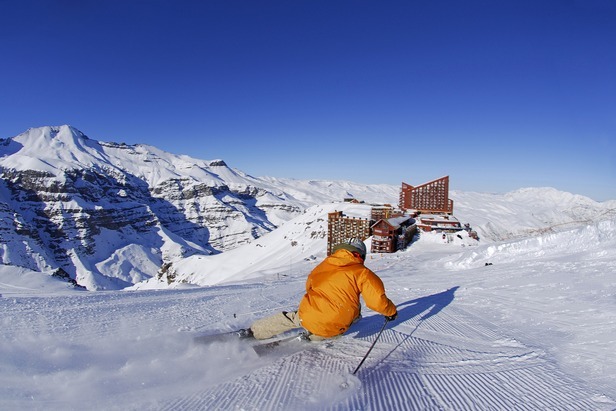 Valle Nevado has plenty of sunshine and plenty of snow. The 37 km (24 miles) of runs are served by some of the most modern lifts in South America, including the very first gondola in Chile as part of a 10-year, $150 million Master Development Plan that will eventually create a Mountain Village at the base of the resort. 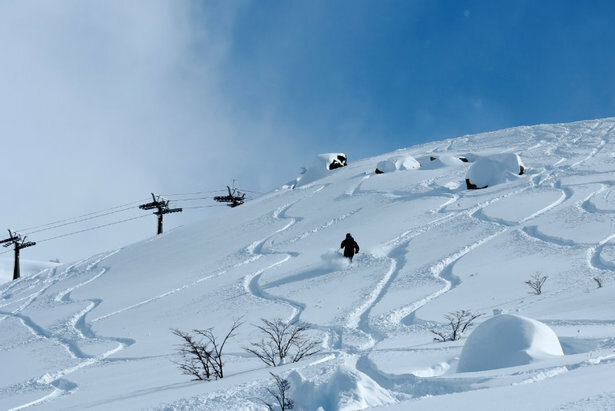 The ski area also has links with neighboring El Colorado and La Parva to make up the Tres Valles of the Andes for a combined 7,000 acres, 40 chairlifts and four base villages. Sunshine skiing in Valle Nevado, Chile. Ski Portillo’s owners have strived to keep it small and intimate. In fact, one of its biggest selling points is that there is no town, no shopping center and no Starbucks. There is just one big yellow hotel, which accommodates 400 people at a time, meaning there are rarely any lift lines and slopes do not suffer from overcrowding. Portillo features 1,235 acres of skiable terrain across 14 lifts and 35 trails with long groomed runs accessed by chairs and drags. For advanced/expert skiers who’ll cover the runs in a matter of hours, it’s the freeriding that is the major draw with its abundance of steep off-piste faces. Heli operations are available to take you to even higher elevations and descents. Portillo also has countless hike-to backcountry areas, and the resort's high altitude means skiing back to your ski-in hotel is the norm. Previous seasons in Portillo have provided memorable photos like this. 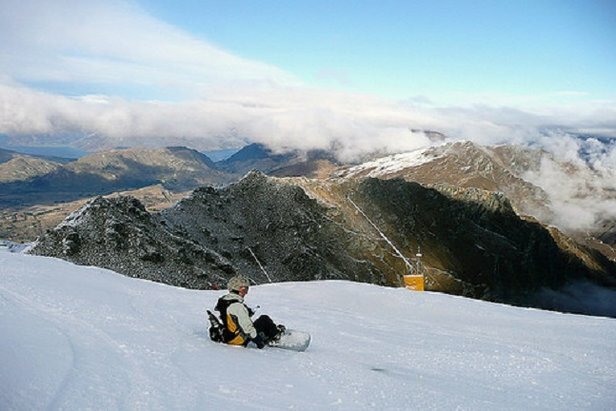 Coronet Peak is one of the most popular ski resort on the South Island of New Zealand, in part due to its proximity to Queenstown 20 minutes away. The varied terrain offers something for everyone: beginners and intermediates have wide blue and red runs while more advanced skiers can hit the terrain park or test their stamina on the longest run, the “M-1”, stretching 2.4 km (1.5 miles). The resort is known for its efficient high-speed chairlifts, and night skiing is offered Wednesday, Friday and Saturday nights. The mountain's Skiwiland - My First Ski School is a fully licensed Early Learning Centre with the NZ Ministry of Education that caters to children 3 months to 5 years old. Snowboarder taking in the views at Coronet Peak, New Zealand. Treble Cone, in Lake Wanaka, covers two basins—the Saddle and Home basin. Both provide some of the best freeriding in New Zealand. 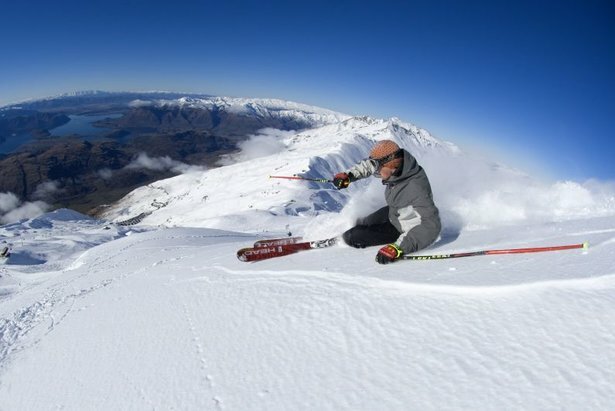 Fans of steep and challenging terrain claim Treble Cone has some of the best in the country, with close to half the mountain dedicated to advanced terrain. Expert riders can take guided tours out to the Motatapu Chutes. Beginners and intermediates are not left out however with plenty of long, un-crowded runs. Skiing powder atop Treble Cone, NZ. 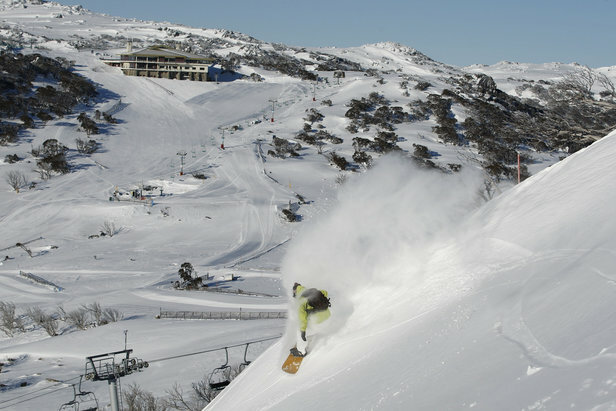 Perisher in New South Wales is the largest ski area in Australia (and the Southern Hemisphere, for that matter). It is made up of four villages: Perisher Valley, Blue Cow, Simiggins Holes and Guthega, all of which are connected and offer varied terrain. It’s about a six-hour drive from Sydney, and you'll find plenty of skiing on seven mountain peaks accessed by 47 lifts, including a high-speed eight-seater. Most of the area is intermediate, but beginners and advanced skiers will also find their spots. Freestyle fans will love the five terrain parks and a super-pipe. 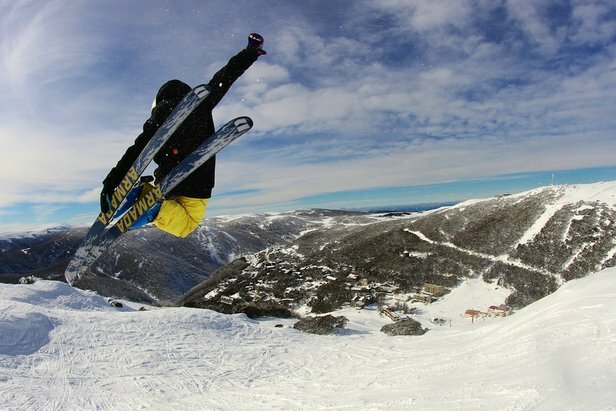 Perisher is Australia's biggest ski resort.